PMS is not normal. I mean – statistically speaking, a lot of women do suffer with PMS – but you as a FLO insider, don’t have to! PMS is not necessary or unavoidable or a given when you’re female. You don’t have to suffer with PMS symptoms – the bloating, acne, mood swings, fatigue, anxiety, cravings. I used to and now I don’t, and it was as simple as changing my diet habits. I figured out what foods and recipes would prevent PMS. 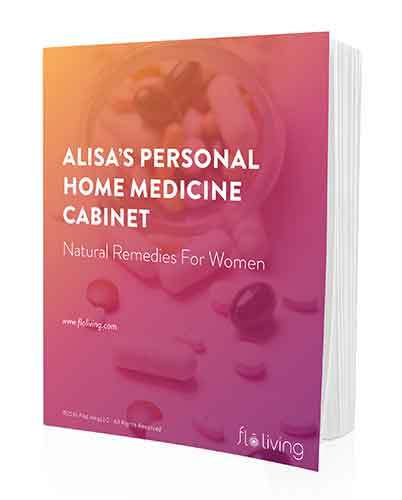 Once I recognized I had PMS, that I experienced these symptoms during my pre-menstrual or luteal phase, and once I recognized that the root cause was a hormonal imbalance, I could make active, educated decisions that eventually lead me to a PMS-free life. Yes, a PMS-free life, it’s possible, for every single woman. All it takes is selecting the foods and recipes that prevent PMS. I’m not special or particularly blessed to not experience PMS – I just eat the right foods at the right time to prevent the hormonal imbalance that causes all PMS symptoms. You can do it too! Because I know we’re all so busy and we’re all time-strapped, ambitious, hustling women and mothers with a lot on our hands, I’ve created the perfect juice recipe that tackles all of your PMS symptoms. This juice gives your body what it needs to prevent hormonal imbalance, provides a nutrient-dense variety of PMS-fighting foods in concentrated form, and is so, so, so easy to make up every day during your pre-menstrual phase to make sure you feel great the whole time. Juicing is such an easy, effective way to get the vitamins and minerals your body needs during this phase of your cycle. It doesn’t add to your schedule, it doesn’t take much effort, it doesn’t even take much planning ahead. Just grab the ingredients on your grocery shop and whizz one up every morning. PMS is caused by higher levels of estrogen that go unopposed by enough progesterone – the kale, cilantro will help with this and the beet will provide healthy carbohydrates to prevent moodiness and fatigue. Drink it every day the week before your period. Something to look forward to in what used to be a dreaded week! For fun – something we all need more of when we’re pre-menstrual – I like to serve this up for myself and my girlfriends in a martini glass! I call it the Anti Bloat-ini. Make it feel like a treat, because it is – it’s bliss not to experience PMS! If you’re looking for other PMS-fighting recipes check out my recommended foods; read up on my PMS-suffering clients’ success with eating the FLO Living way; and take a look at my suggested swaps for common PMS cravings. First, do you have PMS? Second, do you suffer from ovulation symptoms like pain and bloating? Do you suggest drinking this about 5 days before menstruation, every morning? Thanks for being a trustworthy source & again for sharing such invaluable information that’s otherwise hard to find. You can drink this from ovulation on! Any recommendations for what we can replace kale with? Thank you!! You can use any dark leafy green, like collards, spinach, chard! Would it also work if I put it in a Magic Bullet instead of a juicer? Any drawbacks to drinking it as a smoothie? I don’t have a juicer and prefer not to waste the pulpy fibrous parts of the food! Thanks! I made some of this and its a very refreshing taste! I have a citrus allergy what can I replace the lemon with? It worked for me ! I am so happy ! I had less pms pain and my mood was stable which hasn’t happened to me in years. And can I add dates and mint ? What would you recommend making this in? I tried to make it in my blender with added water, but it came out too thick to drink. Alisa, when is the best time of day to drink this? And should it be consumed stand alone or with food? Been really working to balance blood sugar throughout day and could imagine this juice consumed at the wrong time could cause a spike. 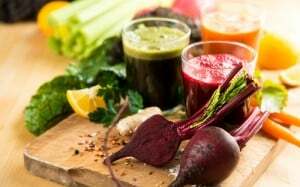 You say you can blend it, but then should you have the carrot, kale, celery and beet cooked or roasted before blending them, because raw is not so good during the luteal phase? For years I have been a juice/smoothie maker and this recipe knocks out all others!! Simply delicious! A new addiction!! My bloating decreased pretty immediately! Can’t say thank you enough Alissa! You have made such an impact on my body!! ?????? Truly phenomenal knowledge you are teaching! We always hear that food is either medicine or toxin and now I feel like I’m really harnessing the Power!